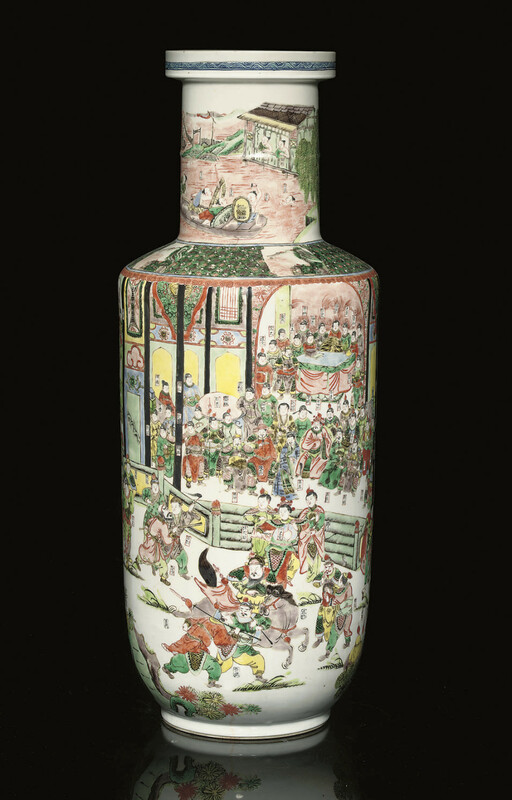 painted with the named figures from the 'Water Margin' epic, seated on a vast two tiered terrace watching an equestrian figure before them, each figure named within an iron-red box, a large pine tree completing the scene, the ribbed neck with a further river scene depicting figures in combat within boats, bearing shields and swords -- 23½in. (59.7cm.) high.